​New Noahcode.ORG webPage! Click here! ​new twomasters.org & book click here! The NOAH CODE is also available now on ePub in our store right here and Kindle - the first major update on the Flood of Noah in 60 years!​ ​Use the free ePub reader program from Calibre (click here or below) and download your ePub copy right now! "Absolutely brilliant work! The author has fit so many pieces together. The timeline intricacies, science & research, all put together! This is definitely a great read! Impressive, something more people need to know about...ties in the multiple sciences to backup these mysteries is awe-striking! Dead bones don't lie, they tell a remarkable story. Most assuredly worth reading!" "I edit and write reviews for many books and I can honestly say that what you have written goes far and beyond anything I've ever read. It's as if you have left no stone uncovered. I also have been a little amazed at the warfare in getting this book to print. I truly believe that God is going to use this book to His glory and as a blessing to multitudes of people." "Mark Rose has produced a fascinating study of the geologic and other scientific evidence supporting the Biblical account of the flood of Noah. Anyone with a serious interest in Genesis or the plethora of flood stories found throughout the world should consider this book. "This book is an amazing resource for those seeking an accurate answer on how God's word, His creation, and scientific evidence are in alignment. It gives people hope that God's design and history are woven into the very fabric of our world. We are not a cosmic accident! Mark Rose does a masterful job of sharing the hope of the gospel through evidence seen in God's creation. Thank you! We will use this book to encourage students across our country who don't have a voice when defending their faith!" "Mark Rose does an incredible job at explaining not just biblical process of God's creation but scientific and logical. He uses terminology people can understand and puts perspective on a controversial subject. This book is great for anyone looking for an informative, honest read on the subject. We will be using this material for teaching in future! Highly recommended. "I felt compelled to let you know how much I am enjoying reading the book, “The Noah Code” by Mark D. Rose….It is one of the best books I have ever read, so well written, so full of amazing history, facts and information. The description of the animals arriving to enter the Ark filled me with tears at the sheer magnificence of the Lord. It has helped to bolster my faith with the undeniable evidence that has been before our eyes all along. THANK YOU for such a wonderful book. I want to share it with family and friends. Please convey my appreciation to the author. Blessings." Jesus said: "Just as in the Days of Noah, So shall the coming of the Son of Man be!" See our post - Grand Canyon Event Horizon - Genesis Alive! Don't miss our new Pamphlet! The Origin of Life and You! Order here! This is the most powerful full color booklet on the subject of origin's written in over 30 years. Covers the proofs provided in chapter one of The Noah Code and others that are shocking the entire world. Includes new information on orca and bat sonar, cell division, human origins, the MO-1 motor and much more. When I present these to the interested they literally take it out of my hands! Includes the Roman Road Scriptures and QR code links to powerful videos. Give a tract that will minister forever that no one will throw away! Fully referenced. 42 pages, 10pt stock cover, pkgs. of 10. Order The Noah Code Here! Late breaking find - plenty of water for the Flood! Mineral soaked reservoirs have been found at the mantle/crust interface zone are found to hold enough water equivalent to three of Earth's modern oceans say researchers. Reported in Science magazine this June, Northwestern University Steven Jacobsen and seismologist Brandon Schmandt of the University of New Mexico have confirmed reservoirs massive size, capable of holding water equivalent in volume to three of Earth's oceans, shedding new light on the origin of Earth's water. "It's good evidence the Earth's water came from within," said Jacobson. The water is contained in a mineral called ringwoodite, a blue rock that lies 400 miles (700 kilometers) underground in the mantle, the layer between Earth's surface and its core. The discovery is based on data captured using about 2,000 seismometers over a multi-year study. "We should be grateful for this deep reservoir "If it wasn't there, it would be on the surface of the Earth, and mountain tops would be the only land poking out," Jacobson commented. The researchers also mentioned the probability that this water could easily be converted and sent to the surface if it had an escape path. As amazing as this find is, it shows us again how new evidence such as this dashes all the past arguments regarding the impossibility of a Global Flood due to lack of water. Fact is, there is plenty available to cover the planet. This story is fairly hard to top as proof that all the water necessary was present to entirely engulf earths surface. Dr. Russ Humphreys, a physicist who's worked at Sandia National Laboratory for over 20 years, postulated a theory in 1984 concerning rapid magnetic decay of planetary and now Galaxy-sized magnetic fields. His theory asserts that the combined hydrogen atom alignment's creates magnetic fields suggesting that God aligned hydrogen nuclei in the originally-created water of such bodies, creating magnetic fields. The nuclei would quickly become disaligned, and God would then have transformed them to other types of nuclei, but the magnetic fields would be preserved and these would rapidly run down (rapidly, for smaller planets) since their creation less than 6,000 years ago. His mathematical formula's quantitative predictions have been proved out and shown accurate by three NASA probe missions - Voyager II in 1975, Mariner 10 in 1990 and more recently Messenger in 2008 through 2011. His theory, inspired by Thomas Barnes in 1971 and the Bible, traces measurements made back as far as 1835, showing the Earth’s magnetic field is rapidly collapsing at a 1400 year half-life rate. For those of you who are pilots, you will recall aeronautical charts go obsolete in just 90 days, one reason because the isogonic lines drawn on the maps depicting magnetic variation change rapidly. Amazing find. Russ understood Mercury has the most intense and rapidly collapsing magnetic field in the solar system, determined from earlier spacecraft data. "Mercury’s decay rate is so rapid that some future probe could detect it [a change] fairly soon. In 1990 the planet’s magnetic moment should be 1.8 percent smaller than its 1975 value [measured by the Mariner 10 spacecraft]." As the results came in, Dr. Humphreys was amazed, validating his theoretical plots and showing this planet's field strength had declined as he predicted with these flybys, even spaced so closely in time. To better understand the physics involved, Creationist theories of planetary fields expect such a decrease because electrical resistance in a planet’s core will decrease the electrical current causing the magnetic field, just as friction slows down a flywheel. The smaller the core or greater the resistance, the faster the field will decay [like Mercury]—and the decay is exponential (constant percent decrease per year, see further explanation). Dr. Humphreys predictions come true, (his 2008 statement): "There is also a possibility that the true value of the 2008 field is even lower than the prediction. I predicted four percent decrease in only 33 years would be very hard for evolutionary theories of planetary magnetic fields to explain, but a greater decrease would be even harder on the theories. When Messenger makes more flybys and then goes into orbit around Mercury, we should get more accurate results. 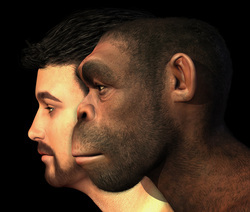 But the first results seem clear enough for us to expect good agreement with the creationist model. None of the now-verified predictions of the model could work without the biblically-specified original created material of planets and the biblically-specified age of the solar system: - 6,000 years. When NASA’s space program began many decades ago, nobody expected it to vindicate Scripture so strongly." Stated Russ. See Tension, not extension in creation cosmology - creation.com for complete article! Nice work Russ! Translated from Chinese history dated approximately 2000 BC. "What once seemed to be a rock-solid argument against the existence of a first couple has now dwindled considerably. The genetic analysis indicates that the first couple is possible. At the very least it is fair to say that HLA haplotype diversity cannot rule out two first parents." Dr. Gauger, along with authors Douglas Axe and Casey Luskin, go on to seriously challenge other current arguments used against Creation and intelligent design, including gene sequencing and the fossil record. This book is an absolute must read on the topic of Human Origins. So here we are again in origins science, the ever changing scene of study contradicting the other as new work comes in. One thing holds true, the Words of our God in the Bible! So says the verse; "one mans story seems true, until another comes and questions him", (Proverbs 18:17) hails true! - Mark Rose See our Human Origins post on the topic - The Question of Human Origins - Genesis Alive! Your "polymerase" team is always on the job! "Breakthrough for a DNA break-preventer"
﻿"Mammalian genomes encode about 16 distinct DNA polymerases that participate in different aspects of DNA replication, DNA repair, recombination, or bypass of DNA damage"
Note: the researchers in this study awarded the Nobel Prize! These polymerase act to repair or bypass damaged DNA sections. So when a damaged portion is encountered, replication work stops temporarily and the lesion is bypassed by a process called "translesion synthesis," or by switching to another undamaged copy of the DNA. If this system were implemented using computers and RAID hard disk arrays, we would applaud the genius who designed it. But when we see similar designs on a molecular level, operating with efficiency we can only dream of, we attribute it to time and random processes. In thinking about this amazing repair system working away 24/7 for our well being, it's striking to consider that if mutations are a necessary and integral part of the evolutionary process, why have organisms supposedly developed (by means of evolution) mechanisms to negate the effects of mutations? Medicine has recorded over 4,000 diseases caused by genetic mutations. So as the primary driving mechanism for evolution, it has a very poor batting average... like minus 4,000! This study stands in complete contradiction of evolution's requirement of design-making mutations. Better keep this one away from the 5th graders, so they won't become "confused." It makes far more sense to understand that our Creator designed DNA and its associated repair systems for our good. They're no accident, but just another reason to thank God every day for the life He has given us! See our Press Release regarding the great Debate! This story records the life of a young pilot flying in Alaska’s Frontier Arctic. You’ll experience the front seat thrills of bush planes and helicopters operating in the most dangerous conditions on Earth. Flying minus 60 temperatures and horrific storms, airborne among the magnificent mountains, glaciers and rivers that only Alaska has to offer. Once you've read this volume you’ll not be satisfied until you visit Alaska yourself! Includes true-life experiences of accidents, comradeship, humor, heartbreaks and life in Frontier Alaska, gone forever when dismantled into parks and native lands in the early 1980’s. Opens with an interesting early history of the 49th State, leading to the eventual use and development of a new tool of transport – the single engine airplane, but not without extracting a terrible price. Experience what it was like to growing up among the dangerous game, hunting the massive caribou herds and absorbing the greatness of the country. The story concludes with a crisis encounter that forever changed the pilot's life. Every boy, man and aviator won't be able to put this one down, and more importantly, be compelled to grapple with its final truth. Includes an important appendix relating to safe weather and pass flying that may save your life as a light aircraft operator. Pilots will gain from the flying experiences related. Download the ePub version and start your Alaskan Adventure today! First in a series. 160 pages, well Illustrated with unique images and sketches. From the beginning, this book draws you into a great adventure. You easily and vividly imagine you are a part of it, and it’s hard to put it down until you have completed the journey. Part history book, adventure story, and survival manual, Last of the Long Hunters combines real-life experiences whose contents, if gleaned well, could save your life in more ways than one. This is one to read over and over again. 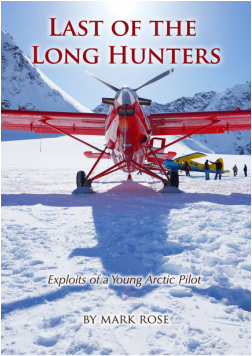 —Brent Maule, pilot and president of Maule Air, Inc.
Last of the Long Hunters is an excellent read for a short history of Alaska flying and what we often experienced. Mark and I worked together for years on the North Slope and elsewhere in the state. He has covered the adventure of flying and documented the many mistakes that were made and the lessons that were learned. Since aviation was a new industry there, our forerunners had to learn the limits of their machines and the human limits. We learned how to listen to our machines, watch the weather, and respect the inner voice that questions what we do. Further, planning ahead for any unforeseen changes was a must. Staying informed and using the FAA rules also helped us stay safe. My military experience and training before I came to Alaska paved the way for a successful career. I am looking forward to his next book, which focuses on helicopters in Alaska. Editor’s note: Mr. Wigen has thirty-seven years of Alaska flying experience and has logged more than twenty-six thousand flying hours. Thank you for such an interesting read. Let me share a few random thoughts. I certainly don’t have any first hand experience with the subject matter, though that may be one reason why I find this book so fascinating. As I said before, this book makes me regret not having visited Alaska when it would have been easier to do so. There is so much about your book that I like, and it seems to me that you have effectively pulled together the history of Alaskan aviation with your own story that it makes compelling reading. I kept thinking that this book must be a special blessing to your kids, not just because Dad has written a fascinating book, but because through this book they can know a side of you that they might not get to know any other way. I was fascinated to work my way through this information. Everything from the “rules of” to the check list to how certain equipment actually saved lives in a crash situation, this section was like a compelling exercise for my brain. 5.0 out of 5 stars This would make a great movie - love true stories that change lives! I highly recommend this book! This is a fantastic read with a big payoff. This is a great read for anyone who loves history, aviation, hunting and true life stories. We've all enjoyed hearing those unbelievable stories growing up, around a campfire or the dinner table. Those stories that have you on the edge of your seat and the ones that create heroes. This book is an incredible story and a true story the author lived through and changed his life forever. In addition I enjoyed the setup with the history of Alaska, his growing up in Alaska, the visual journey the author takes you through heading into the vast unknown of the Alaska territory. I'm not a pilot but I found myself following the author's routine and there are a lot of tips in the appendix of the book that are his notes to other pilots where he is wanting to pass his wisdom along. Looking forward to reading more from the author! I absolutely loved this book and recommend it to anyone who wants a front seat to the real adventures of the Alaskan pilots! It's very well written and a GREAT read! PRESS HERE TO ORDER NOAH CODE ! PRESS HERE TO ORDER LONG HUNTERS! 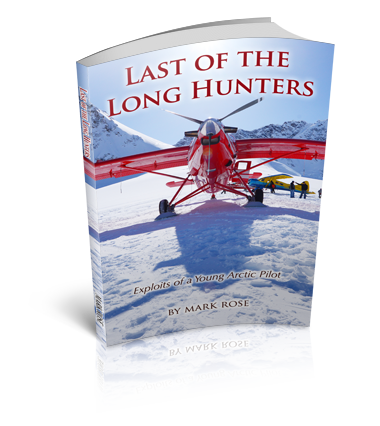 Last Hunters is the greatest Alaska Hunting/Flying story ever told! Click and order one for every man you know that has questions about the existence of God and that question will be answered! This new work from Mark Rose combines 3 decades of sound financial stewardship teaching into one comprehensive volume. 140+ pages with 36 images and a plethora of excellent and helpful forms will put you on the path to financial freedom in a few short weeks. 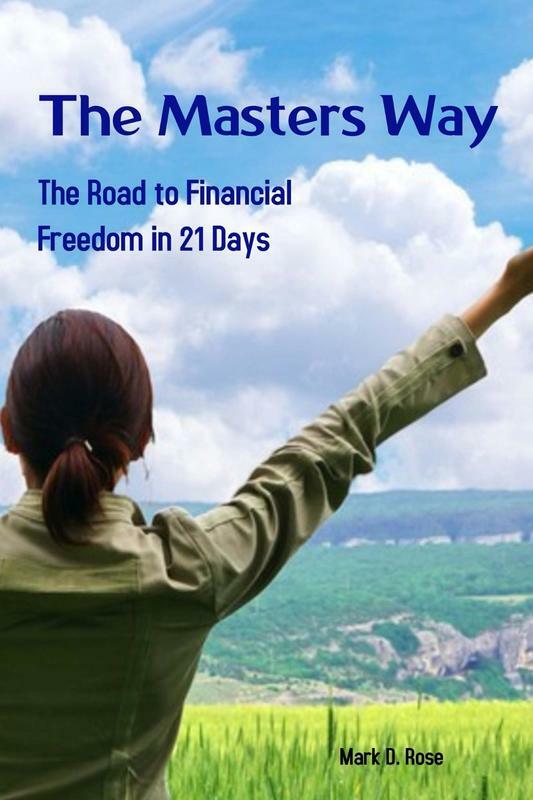 Designed to use with the new www.masters21day.com app, coupled together represents a powerful multidisciplinary approach to put you on the road to debt freedom in 21 lessons one day at a time, or use or standalone. Order this one today, you will not be disappointed! 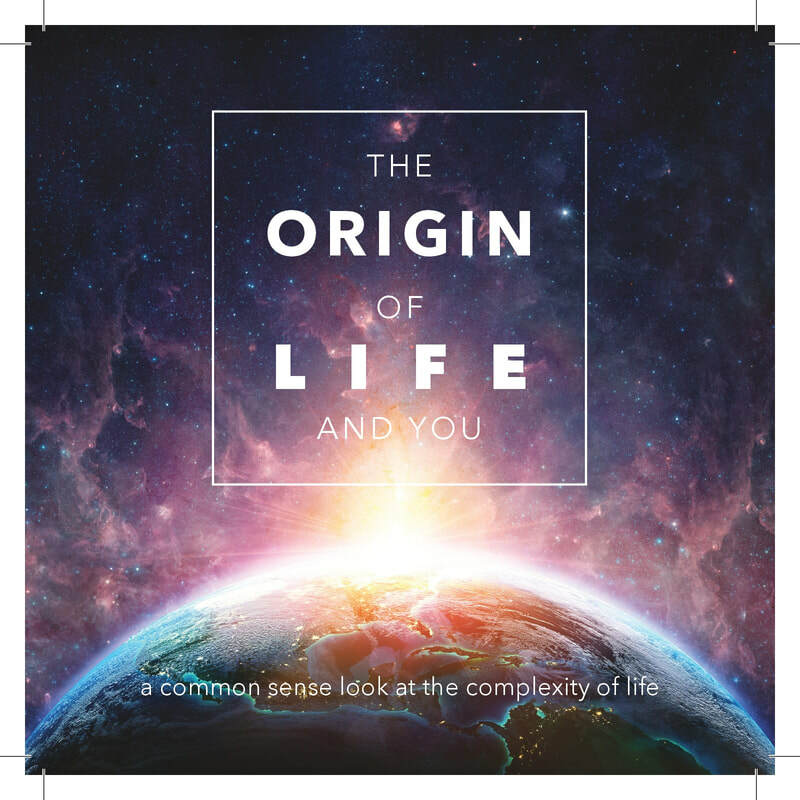 10 Pack Pamphlet - The Origin of Life and You Click Here to Order! The best of Author Mark Rose's unarguable creation proofs from the biological world, includes: Bio-Motors, Orca and Bat Sonar, Human Origins, Dinosaurs and much more in a full color 4X4" 44 page pamphlet. Give the gift that will minister forever! Even my FedEx delivery driver liked his copy! Beautiful card stock cover, all glossy color images. Order your set and share the truth today. ﻿﻿NEW DINOSAUR PAGE CLICK HERE! ﻿We are thankful for every visitor here at Genesis Alive. We depend upon your patronage. Please visit our book store and support us. More to come! This is one of the most important documentary films on the fallacy of secular archeology as related to Egypt and the Exodus since the Ten Commandments! See this video!! Joseph's tomb in Egypt found (less bones), a Palace with 12 Pillars, mass graves and abandonment of a foreign population discovered and more. This is the biggest expose of the failures of Egyptology and the the affirmation of the Biblical record ever! Winner of over 10 awards for documentary of the year! 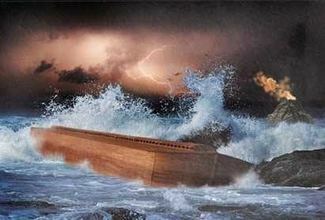 Ties in perfectly with the records of the Flood unearthed in The Noah Code!